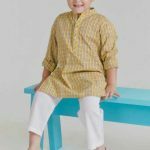 New Pakistani short sherwani designs in 2019 for young boys and men is becoming the rising fashion trend not only in Pakistan but also all around the fashion world. 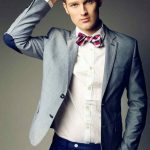 The new western sherwani style for men is most coveted by Europeans as well as Asian countries like, India, Pakistan, Bangladesh, Sri Lanka, Turkey, Malaysia and so on. 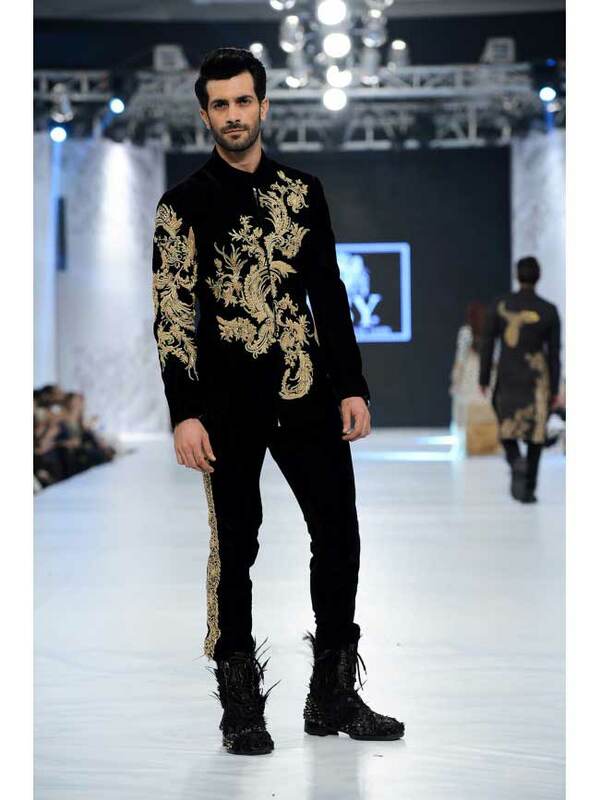 Top Pakistani clothing fashion houses such as Amir Adnan, Junaid Jamshed, HSY, have revealed their best western style Pakistani short sherwani. 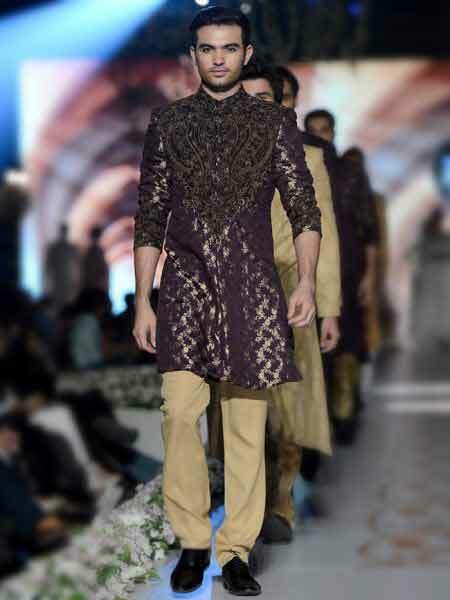 Some of these men sherwani designs from this collection are heavily embroidered that adds glamour while others are as simple and sophisticated that enhance the decency of a man. 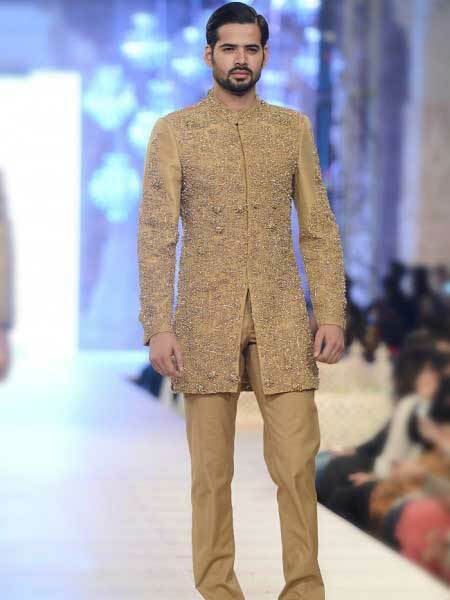 After the launch of simple men sherwani designs that are mostly sought after by men for Jummah prayer in Muslim countries, now get the best Pakistani short sherwani in new styles that is also suitable for the men with short height. 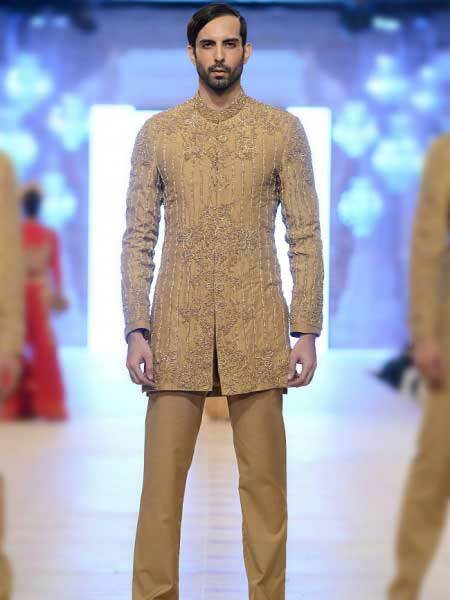 If anyone of you have short height, then there is nothing to worry about thinking over that what sherwani to wear on wedding parties? 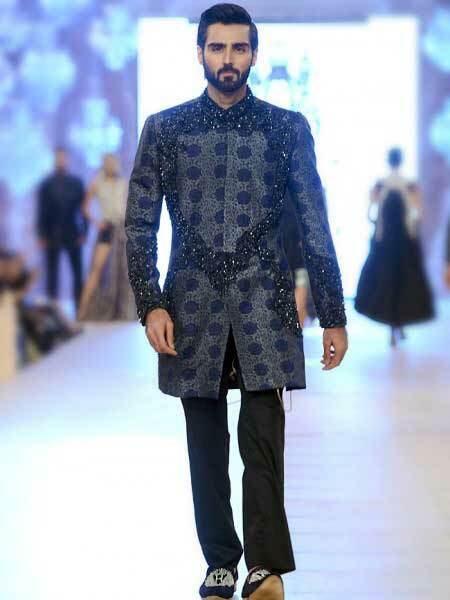 Here is the best ever solution for the best short sherwani designs 2019! 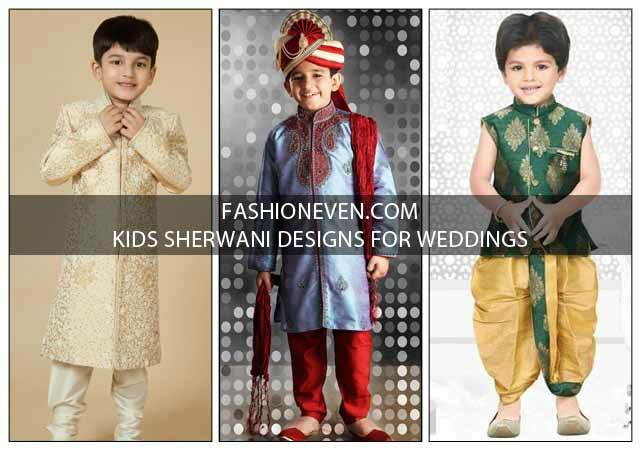 Yes, choose your best western short sherwani styles that will also help you for the illusion of normal height. 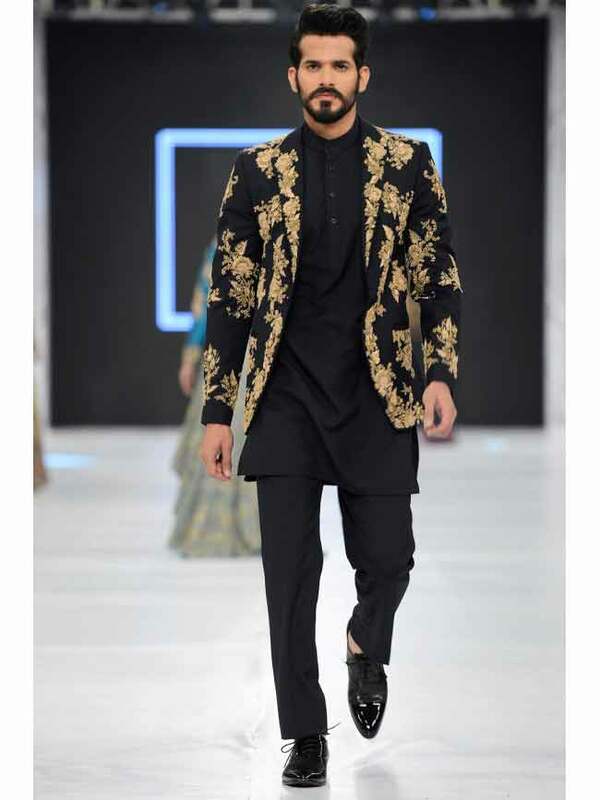 Either you can buy these short sherwanis from official websites and nearest outlets or get the inspiring ideas to design your kurta shalwar by following the new designs. 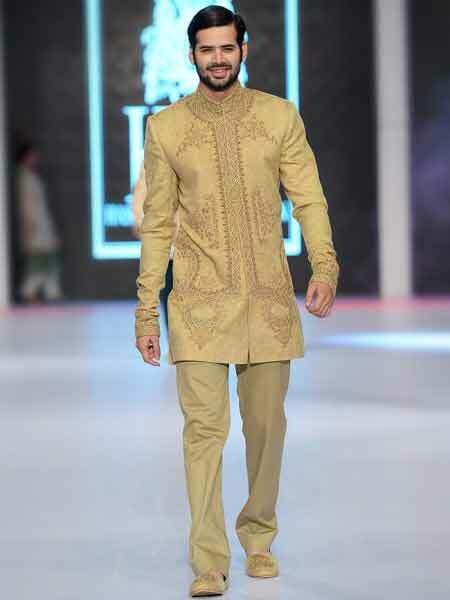 Have a look at the latest Pakistani short sherwani designs shown in images. 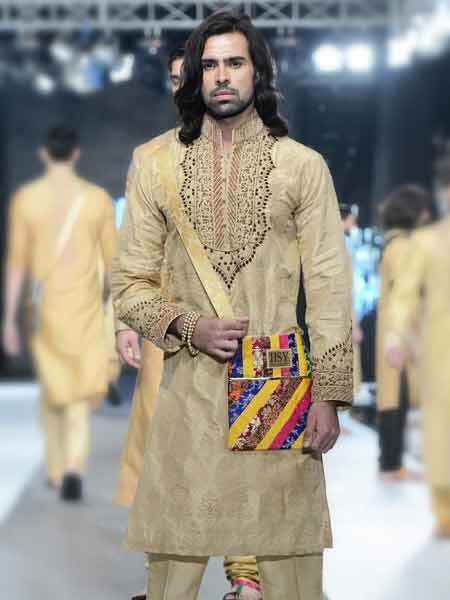 Pakistani short sherwanis are basically the inspiration from western clothing. 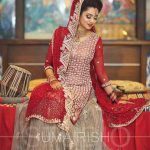 Main focus of Pakistani designers is just to provide the quality fabric, use of sophisticated colors and set the reasonable prices in order to have a strong influence on everyone. 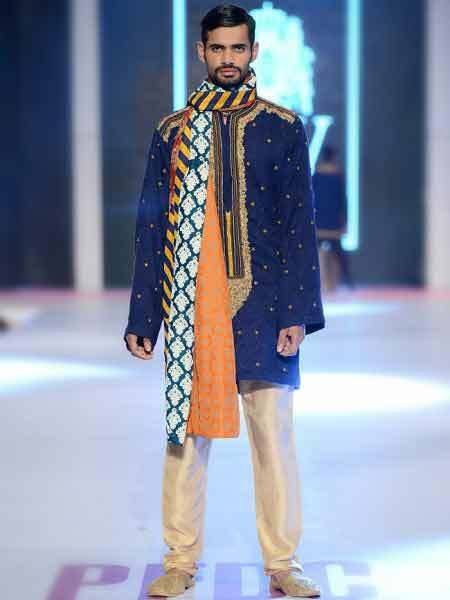 Western sherwani style as of Pakistani short sherwani styles are somehow similar to the men coats and jacket styles but in a far more classic and modern way that it can be wore on several occasions like, wedding ceremonies, annual dinners, parties and much more. 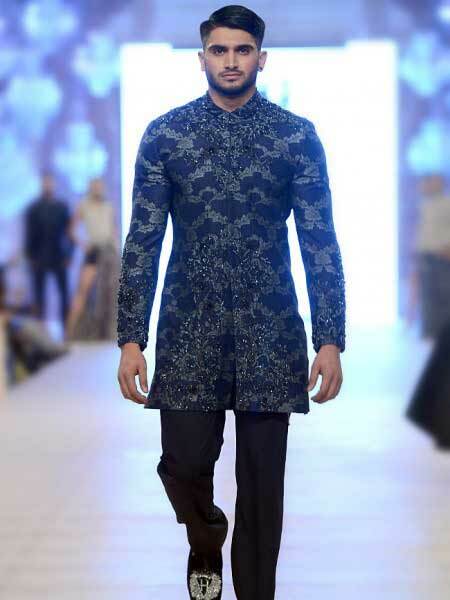 To know about the short sherwanis, you must visit official websites of best Pakistani designers, where you will also be able to find the shop online facility. 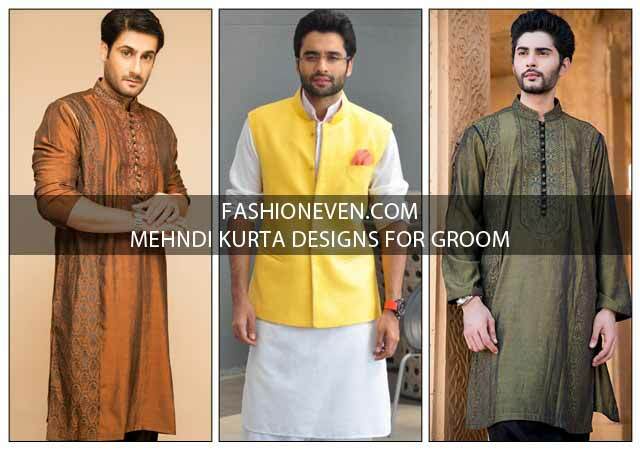 Check out men kurta shalwar kameez designs. 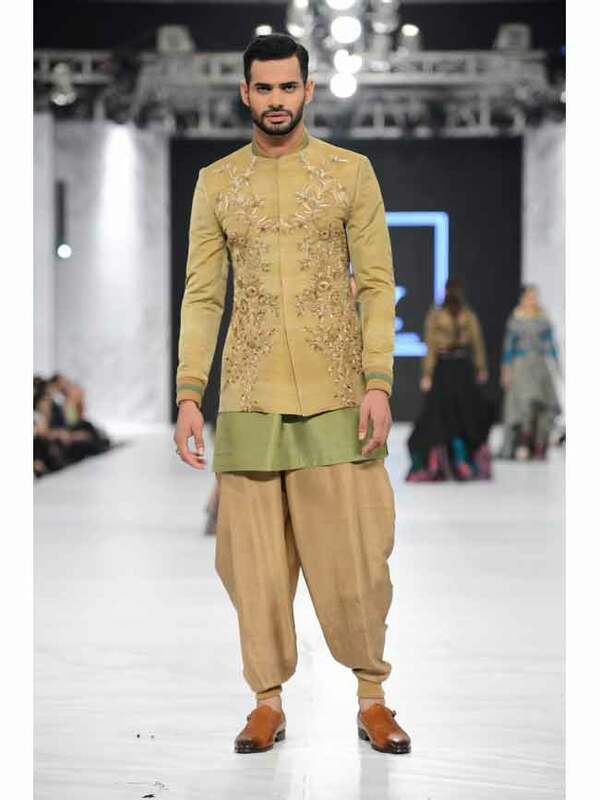 What to wear with short sherwani style – churidar pajamma, patiyala shalwar, simple shalwar, simple pants or trousers? 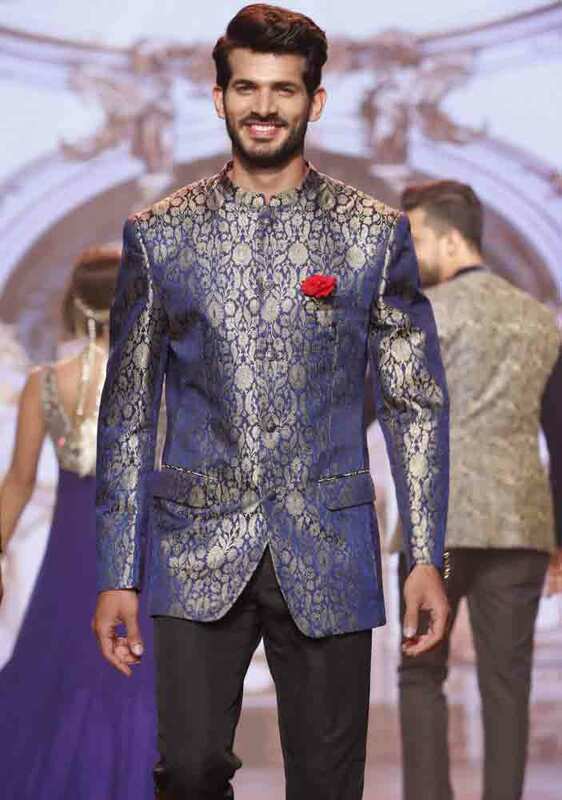 Here are the multiple options you can choose from the images we have shown for short sherwani fashion trend 2019. 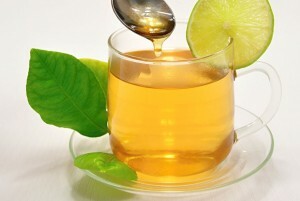 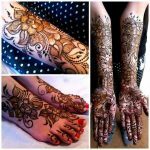 You can go for what you like more because all of these options are in fashion nowadays. 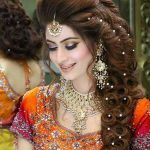 Is it in fashion to carry patka, kulla, dupatta, or pagri with sherwanis? 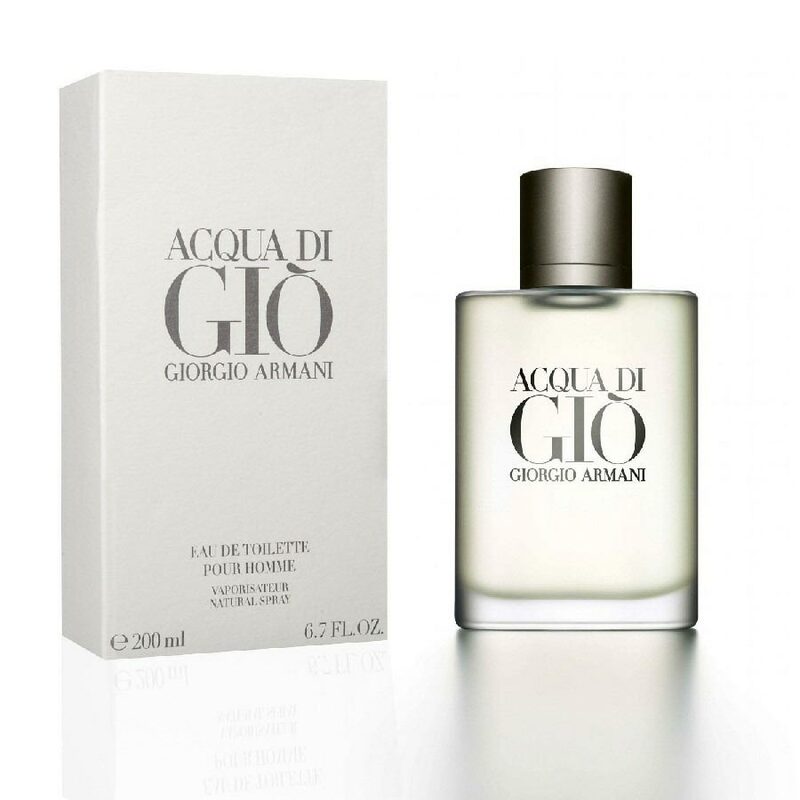 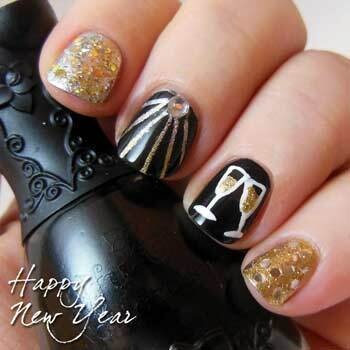 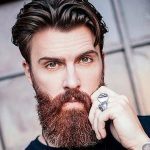 Yes, besides it looks more stylish and trendy in 2019, it also enhance the glamour of a man and gives you more classic look. 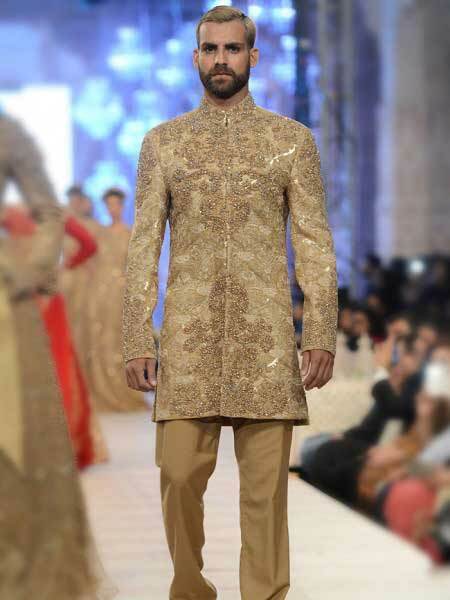 What should be the Ideal/standard/correct length of sherwani for both long and short sherwani style for men? 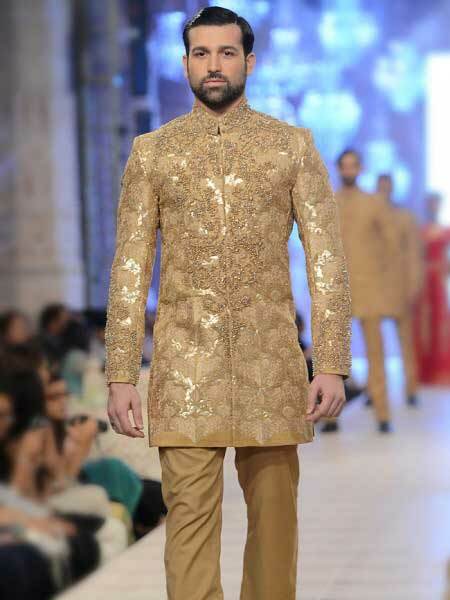 What men sherwani designs is in fashion nowadays, Long sherwani or short sherwani style? 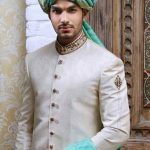 Pakistani short sherwani designs 2017 new styles are best for upcoming fashion trends in Pakistan that will surely make you stand out from the crowd. 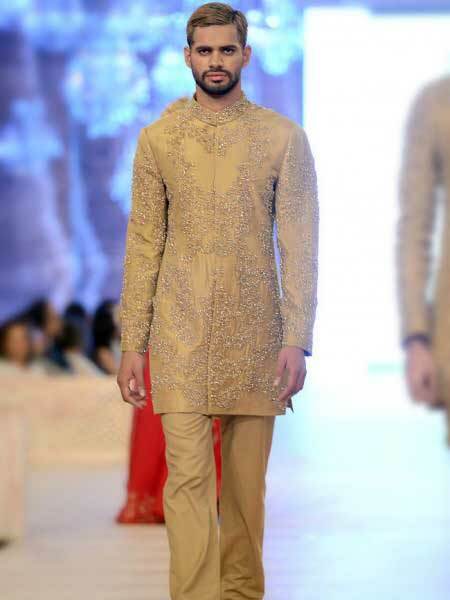 Which sherwani is suitable for your height? 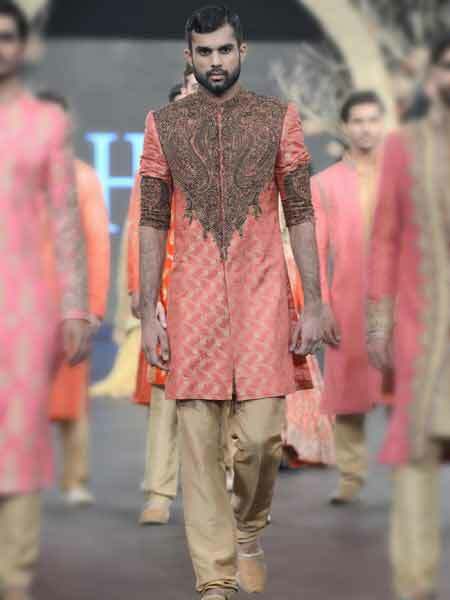 If you are tall then don’t miss the chance to wear light colors with larger embroidery and print all around. 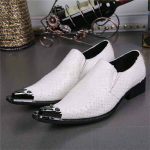 On the other hand, if you are not so tall or have a short height, then go for the exact opposite as we have mentioned above. 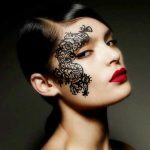 Give a try to darker colors and small prints or embroidery that might look cool and fashionable. 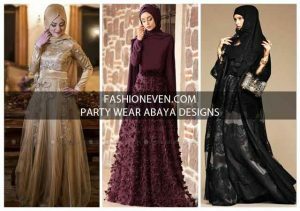 Magenta and so on, are trendy in 2019, which can grab the attention of everyone around you. 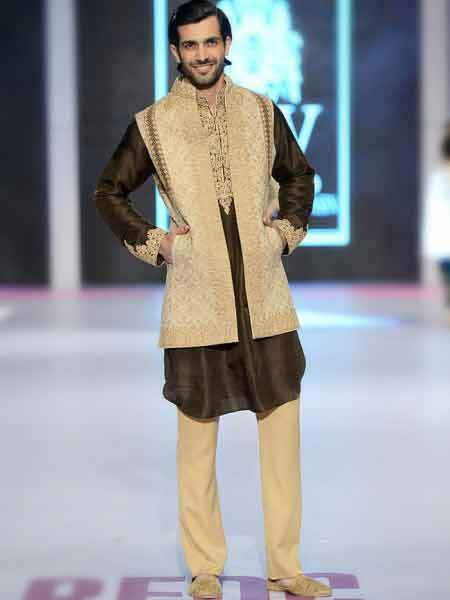 Follow the latest fashion trends all around the world with the latest Pakistani short sherwani designs for men. 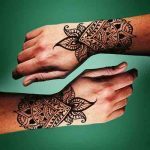 Pakistani designers have got much popularity outside the boundaries of Pakistan, just because of their professional hard work and remarkable skill. 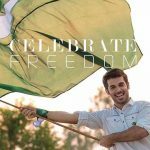 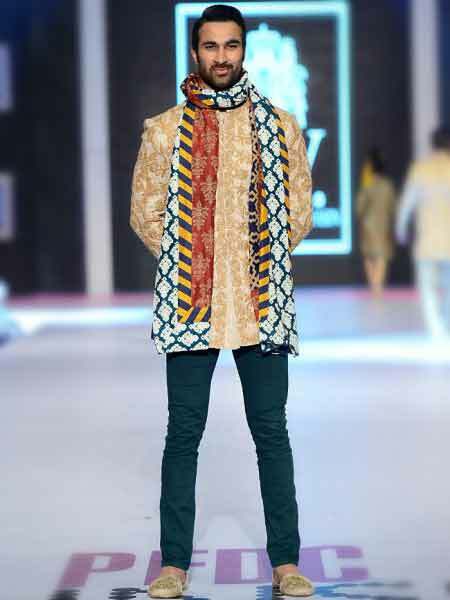 All of men clothing fashion designers such as HSY, Amir Adnan, Junaid Jamshed and others, are mostly coveted by both Eastern and Western eras that covers the major part of the world. 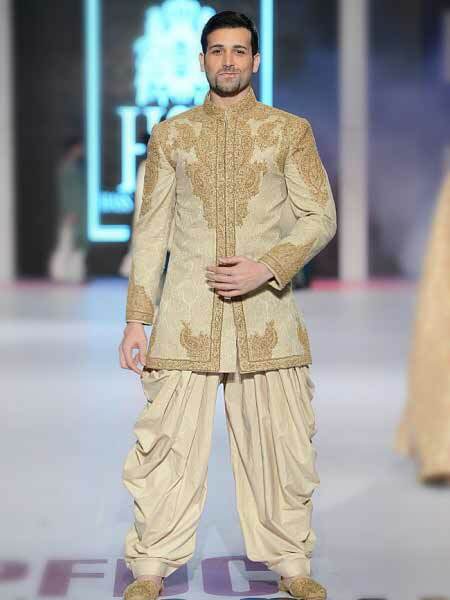 After the trend of men long sherwani designs for wedding now here comes the dulha short sherwani designs. 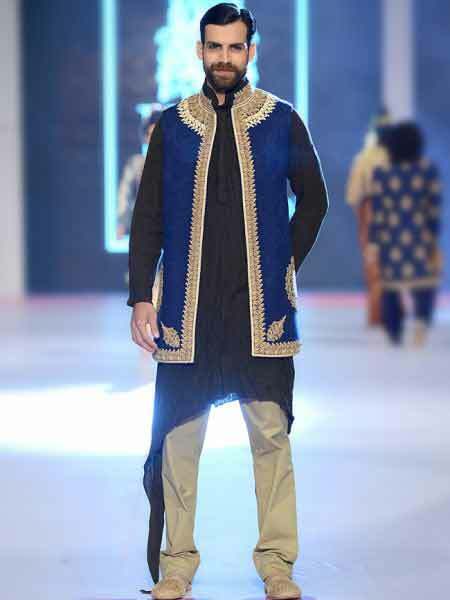 Which is basically short sherwani style kurta or you can say that Pakistani designers have got the best inspiration from men clothing Western style. 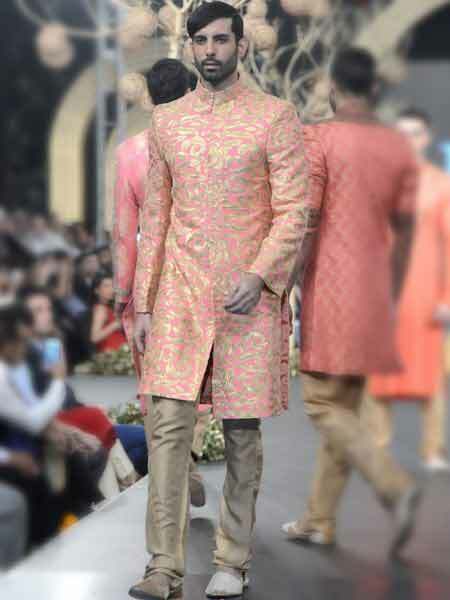 Have a look at the super trendy sherwani designs, grab any of them and become a trendsetter for the year. 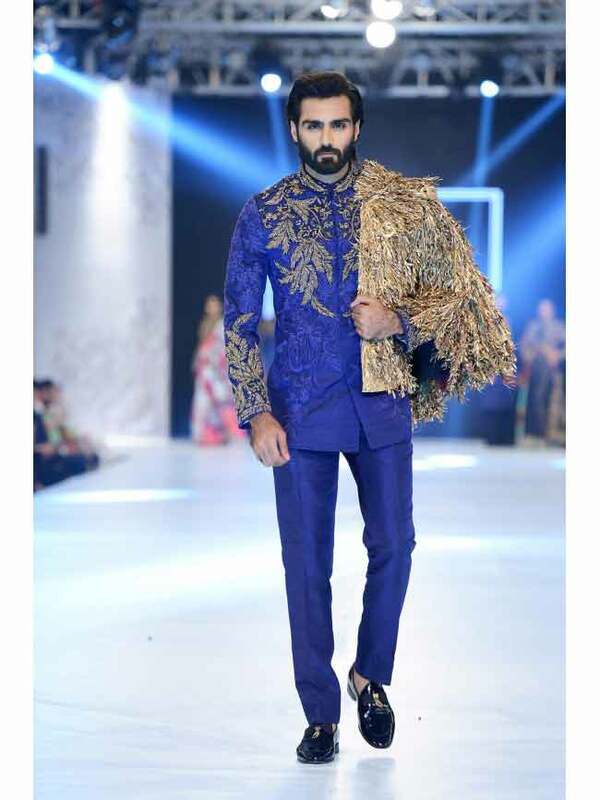 In this article you have seen the latest Pakistani sherwanis in short length, choose your favorite sherwani designs for wedding party or engagement and inspire the world around you. 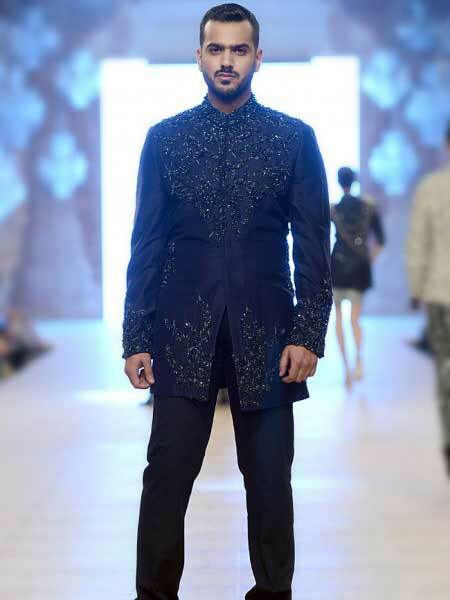 Pakistani fashion designers worked so well to grab all the best sherwani design ideas in their new sherwani collections including western style Pakistani short sherwani designs 2019. 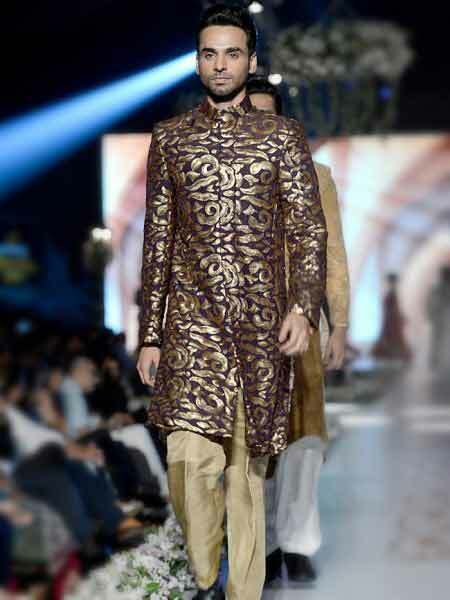 Either you are interested to buy any sherwani shown in pictures, or if you want more details then feel free to contact us via Contact form or comments below.